November starts the season of giving thanks. We try to acknowledge our volunteers, sponsors, donors, and friends every Thursday, but this month let's make gratitude a daily expression. This Thursday, in honor of National Caregivers Month, we are especially thankful for all of the mothers, fathers, siblings, grandparents, family members, friends, and professionals who provide quality care for us and our CCA Kids on their medical and wellness journeys. 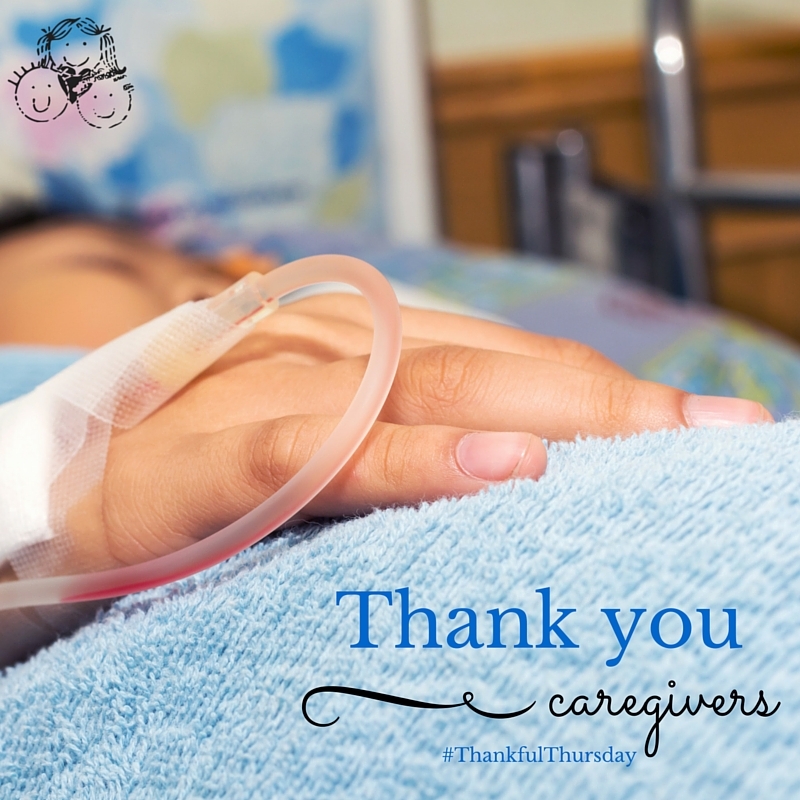 Thank you for providing what's necessary with a little extra dose of TLC.